starred in a couple of Nigerian made movies. Apart from being an actress she is also a social media influencer and film maker. Let's quickly check out some facts about the Warri born actress that you probably never knew until now. 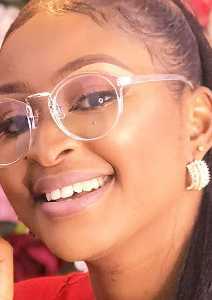 Etinosa Idemudia was born in Warri, Delta State,Nigeria.She has been in Nollywood since 2016. Etinosa had her primary education at Victory International School,Warri afterwards she proceeded to Cambridge International School,Warri and Igbinedion Education Centre, Benin,Edo State for her O levels. The actress and content provider bagged a Bachelor's degree in Computer Engineering from Covenant University in 2011. She worked briefly as a Planning Engineer upon graduation with Delattre Bezons Nigeria. She later decided to quit in other to attend the Royal Arts Academy where she bagged a Diploma in Performing Arts,that was in 2016. Etinosa is the founder of 'EtinosaTV' that release funny skits on her Instagram page. The actress has also produced content for MTN on their MTN Comedy Plus platform,she is also a brand ambassador for MUVng. Control,Grape,Diary of a married Man, Bensonville,Desperate House girls. Etinosa was involved in a controversial video with musician Mc Galaxy on Instagram. Etinosa later apologized for the video that went viral,according to her 'she made a mistake'. Q: Etinosa Idemudia Net Worth? The talented actress is estimated to have a net worth of $25,000 USD.